WASHINGTON — With roughly 10,000 baby boomers turning 65 everyday between now and 2030, finding solutions to pay for long-term care (LTC) is a critical conversation for financial advisers and their clients to have as they plan for a successful retirement. 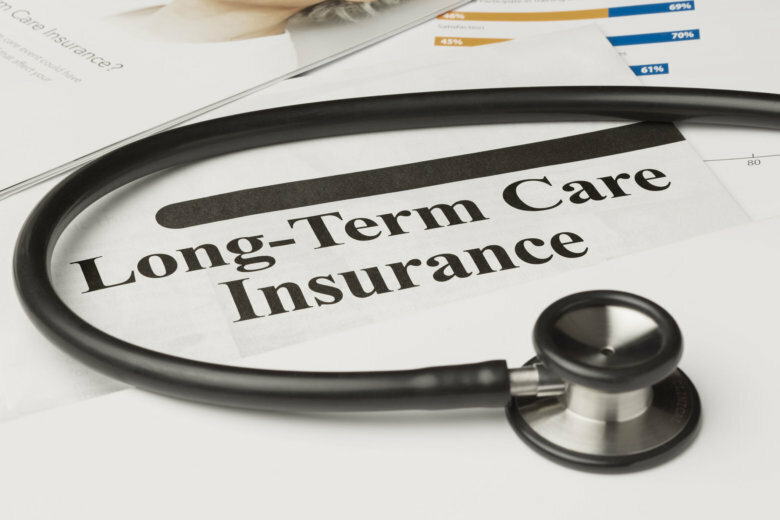 In our article “Weighing the Costs and Needs for Long Term Care Insurance — Part I,” we provided an in-depth overview of the increasing need and costs associated with long-term care services, as well as the basics of traditional long-term care insurance. Here, we unpack the many details about hybrid LTC policies. The traditional long-term care insurance industry continues to struggle with high premium rate increases and fewer insurance companies willing to offer stand-alone or traditional policies. Added to these concerns is the push back from clients who are hesitant to spend thousands of dollars in premiums with nothing to show for their money should they never use their LTC insurance benefits. As a result, hybrid Life/LTC insurance policies — which combine permanent life insurance with an accelerated death benefit rider that pays long-term care benefits — have been rapidly gaining popularity in addressing some of the perceived shortcomings of traditional policies. Over the last several years, the LTC insurance industry has seen substantial growth with these “hybrid”-type policies, which include expanded carriers, products and riders. 1. Life insurance with LTC death benefit acceleration rider: The benefit of this type of policy is that policy-owners may accelerate payments (i.e., take an advance) from their death benefit while they are still alive for qualified LTC needs. Under this acceleration of death benefit, the LTC benefit received will reduce the death benefit dollar for dollar. Once the death benefit is fully used up for LTC needs, the policy terminates. Any unused death benefit will be paid out to beneficiaries at the time of the insured’s death. 2. Life insurance with a chronic illness rider: This type of policy is very similar to the previous policy except some carriers will only accelerate death benefit payments for a qualifying, permanent chronic illness. A chronic illness refers to a condition with no medical cure such as heart disease, Parkinson’s, some cancers, etc. A broken hip may generate payments under a LTC rider, but it would not qualify under a chronic illness rider because it is not a permanent condition. In addition, some consumer protections (such as the ability to reinstate a lapsed policy) may not be available on a chronic illness rider. The devil is in the details, so it’s important to understand the differences between a LTC rider and a chronic illness rider. 3. Linked benefit life insurance with extension-of-benefits (EOB) rider: This policy with EOB rider offers two distinct benefit pools such that LTC benefits may be paid out even after the death benefit has been completely depleted. The first benefit pool is an acceleration of the death benefit, which is available for monthly LTC benefits or as a death benefit. Once this first benefit pool is completely used up, and assuming the insured still has a LTC claim, monthly benefits will be paid from the second benefit pool, which may be up to three times more than the policy’s death benefit. Unlike the first pool, this second pool is available only for monthly LTC benefits. Both pools are designed to last a specific number of years with a maximum amount of LTC benefit dollars in each pool. Combined LTC benefits from both pools may be up to four times the policy’s original death benefit depending on specific policy terms. Any unused death benefit (from the first pool) will be paid out to beneficiaries at the time of the insured’s death. Some investors with extra cash like the idea of leveraging a single premium payment into a linked benefit plan with EOB rider to lock in future long-term care benefits that may be as much as four times their single premium deposit. If you never need the LTC benefits, you are guaranteed a death benefit higher than your premium; and if you cancel your plan, you typically receive all or most of your initial deposit back. These linked benefit plans are also called “asset-based” LTC insurance plans and may be funded from different sources such as savings, retirement plans and 1035 exchanges from existing life insurance or annuities. 1. Long-term care eligibility requirements: A licensed health care practitioner must certify the insured has a severe cognitive impairment or cannot perform at least two of six activities of daily living (ADL’s) for a period of 90 calendar days or more. Before benefits begin, the insured must complete the policy’s elimination period (the period of time you must wait before benefits kick in — typically 90 days but varies by policy). Upon filing a claim, the insured must submit a plan of care describing the LTC services needed to treat their illness and the plan of care must be recertified annually by a licensed health care practitioner. This same eligibility criteria applies to stand-alone/traditional LTC insurance policies. 2. Chronic illness eligibility requirements: Same as above LTC requirements except for a permanent condition only (i.e., no potential for recovery from illness). 3. Reimbursement benefit vs. cash indemnity benefit: A “reimbursement” benefit requires evidence and approval of actual expenses before the receipt of the monthly benefit payment. A “cash indemnity” benefit pays the full monthly LTC benefit without the policy owner having to submit specific monthly bills or receipts. Cash indemnity plans allow for more flexibility (and are more expensive), because the policyowner may be able to pay informal caregivers, family members and other expenses that may not be allowed under a reimbursement benefit plan that requires the services of licensed caregivers. 4. Taxation of benefits: Benefits received are typically tax-free up to the greater of actual qualified long-term care expenses or the per diem rate established by Health Insurance Portability and Accountability Act. That is currently $360 per day (or $131,400 annually) for 2018. 5. Monthly LTC benefit amount: Depending on the amount chosen at the time of application, a policy owner can choose a fixed monthly benefit or acceleration percentage (generally 2 — 4 percent) of the life insurance policy’s face value. How long benefits are paid depends on the payout option chosen when the policy is issued and how much you choose to take, among other factors. As long as your LTC eligibility continues, you can elect to receive the maximum monthly benefit until your entire specified LTC amount has been paid. You may also choose to take less than your full monthly benefit, which may prolong the time period over which your LTC benefits are available and preserve the life insurance death benefit for your beneficiaries. 6. Return of premium: Many LTC riders include an 80—100 percent return of premiums paid (subject to a plan’s vesting schedule) if the policy owner wants to surrender the policy after required premiums have been paid (less any loans or withdrawals). 7. Inflation protection rider: Annual inflation riders of 3 percent or 5 percent, simple or compound, may be purchased for additional cost. 8. Residual death benefit: Some policies pay a nominal (i.e., $5,000 —$10,000) residual death benefit or a guaranteed minimum death benefit, even if the entire death benefit was used for LTC needs during the life of the policy owner. This will be specified in the policy terms. Guaranteed return of premium in some form via a death benefit or long-term care benefits (or both), thus eliminating the use-it-or-lose-it-risk. It’s comforting to know you can often get most of your premium dollars back if you decide to cancel the policy after the surrender charge period ends. Premium rates are locked in, eliminating the worry of future rate hikes. Cash indemnity benefit plans are no longer being offered for new traditional LTC policies. If it’s important to pay nonlicensed informal caregivers from LTC benefits, certain hybrid plans still offer cash indemnity benefits. Preferential tax treatment for repurposing existing life insurance and annuity policies via 1035 exchanges. LTC riders can be expensive and may require deeper pockets up front — premium payments are typically funded via a single pay or limited annual payments. However, new products are evolving with more flexible premium payment options, including lifetime annual payments. LTC payouts reduce your life insurance policy’s cash value and/or death benefit, which may result in leaving little or no death benefit to your heirs if you need long-term care for an extended period of time. It’s hard to make an informed decision without seeing the numbers and comparing plan features, and we recommend getting several quotes. It’s important to review the policies carefully with your financial adviser and insurance expert to ensure the plan features and costs are in line with your expectations and meet your specific needs for both long-term care and life insurance. Nina Mitchell is the Principal and Senior Wealth Adviser at The Colony Group and co-founder of Her Wealth.